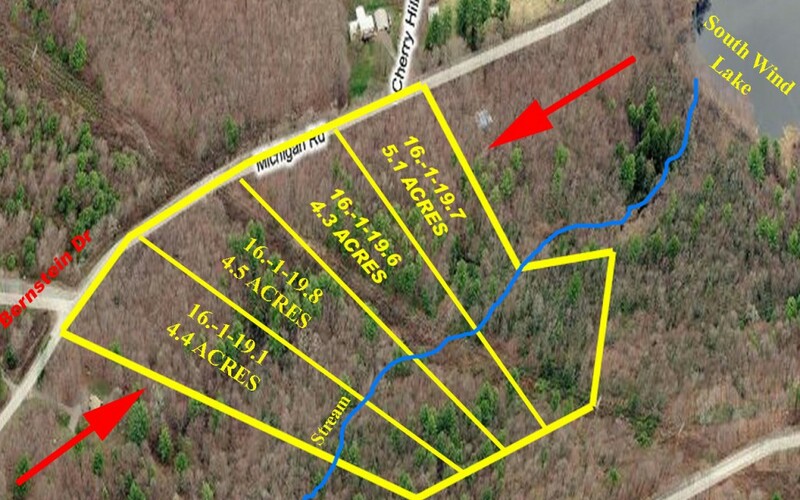 18.3 Acres – Land For Sale Upstate NY – Woodbourne NY. Reduced to Only $64,900!! For Sale 18.3 Acres Prime Location in Woodbourne, NY. This unique property consists of four (4) adjacent sub-divided parcels totaling 18.3 acres. Whether you’re looking to build a year round country home, a weekend getaway, a hunting lodge or an extended family compound, the possibilities are endless. ** Partially in the town water and sewer district for possible hook up to the town water and sewer system!!! All four Parcels total 18.3 acres Only $74,900 $64,900!!! Road Frontage – 285 ft each parcel, 1140 ft. total road frontage !! !